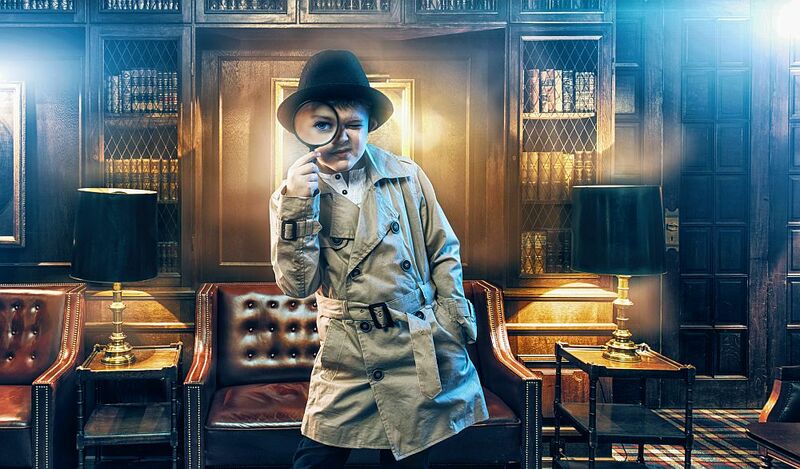 When you are planning a family get together and know you have small children at a party it’s often hard to know if, or how you should include them a the murder mystery evening. Will the content be too difficult for them to understand? Will the content be too risque? We are often on the phone or email chatting to customers about this very thing – so don’t hesitate to get in touch for some free advice. All of us in the office have children ourselves and know how important it is to make them feel included, but also to ensure the adults ALSO have a good time! If you are worried about content, then that’s the easiest thing to answer and we can do that now! Our EVERYONE or TEEN rated games are often the games we direct parents to. These games aren’t TEEN for difficulty level, but rather for content rating. there will be nothing more graphic in a TEEN rated game than you’d see in an average PG. MATURE games will contain more risque plot themes, but probably nothing that you wouldn’t see in an average East Enders, or James Bond film. In terms of reading levels – they are pitched to be appropriate for 14 and up. Children below that age with a good reading level may also cope fine. If it’s a “tween” child (9-14) with reasonable reading ability, then you may find it would be prudent if we adjusted the booklet for the character they are going to be playing into 1st person, or reduced the level of involvement for that character during the evening. This sort of minor amendment would carry a fee, but if you want to avoid any charges, then you can always ask for the booklets in MSword so you can adjust them yourself. If it’s a much younger child you’d like to involve in the evening, then we’ve found the best idea is to get them involved in supporting activities. It is possible to split off the questions within the rounds, so that the children ask some of the questions, and to spice things up a bit you can hide these questions or provide them as rewards to certain activities they can undertake in the time they would usually be sitting “bored” at the table. In this instances we would usually suggest leaving the questions within the adult booklets too – this ensures that if clues go missing, or children suddenly decide to watch a movie, the adults don’t have to get down from the table and engage in a pass the parcel style activity to find them! Again we can rearrange things for you so questions are removed and stored in a file for the children, and keep them “greyed out” in the adult booklets – or we can email the game to you in MSword so you can adjust it yourself. Sometimes whole family groups want to get involved in extra activities with the children to make it more of a family affair. This is great for Christmas get togethers. If so – then simply split off all the questions and distribute them as rewards for team activities. Some game ideas are always included in the making the most of your theme document provided with each kit – but we’ve also listed a few more in this post. 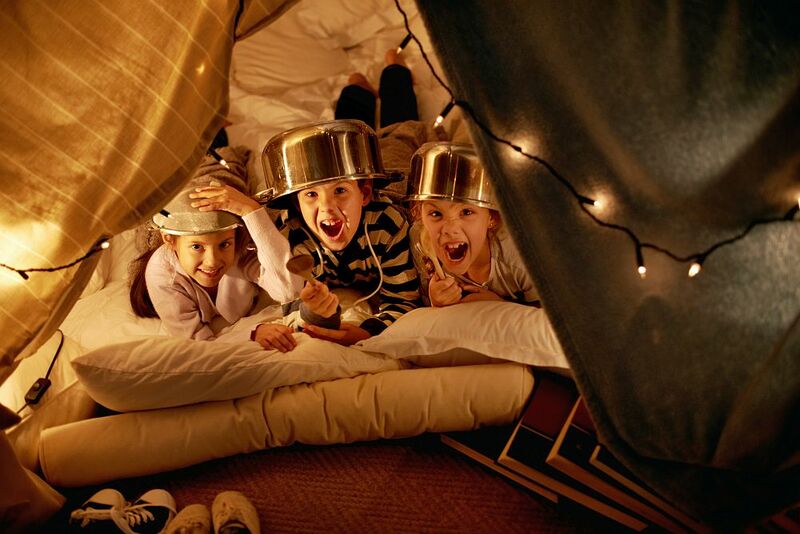 We supply activity ideas on our blog under our team building section. Why not read through a few posts to find some ideas. Don’t forget we also have children’s activity packs available in our accessory section. 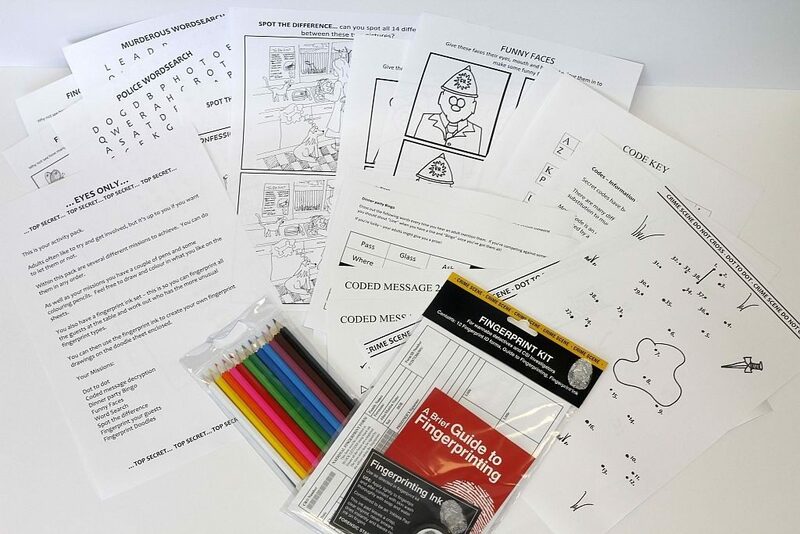 These are pitched to suit the varying ability of primary school (kindergarten) children, with activity sheets ranging from dot to dot and spot the difference to decryption tasks. At just £1 to download you can’t go wrong. Split into teams and give each one a piece of newspaper. The aim is to create the longest strip of newspaper by tearing the paper into a long line, but you CAN’T stick the paper together or knot it, so if you break the line, you have to start again. Blowing a dried pea using a straw from one end of the room to the other. Kim’s game – where you have 20- 30 objects on a tray and you show the tray to everyone and they have to remember all the objects once you’ve hidden the tray. Cake decorating / sundae making – best cake / sundae wins. Balderdash / dictionary game. Split the group into teams and give each team the same word (chosen from an English dictionary) that you think none of them will know the definition for. The idea is that each group comes up with a plausible definition – the compare reads out all the definitions provided by each group (plus the real one from the dictionary which they paraphrase so it isn’t obvious) and each team has to vote which definition is correct. One point (question) for every one that chooses your definition and one point (question) for guessing the correct one. A themed quiz. Points awarded to teams for correct answers. Blind tasting of foods – see who can guess what the foods are from taste alone. 5 object theatre – give each group 5 everyday household objects and they have to come up with a short skit that uses all 5 – best wins some clues. What am I? Pass around an everyday object and get people to come up with different uses for it e.g. a colander could be a helmet. The best use as voted by everyone gets a clue.